Celebrate Dad with a savory gift this Father's Day. 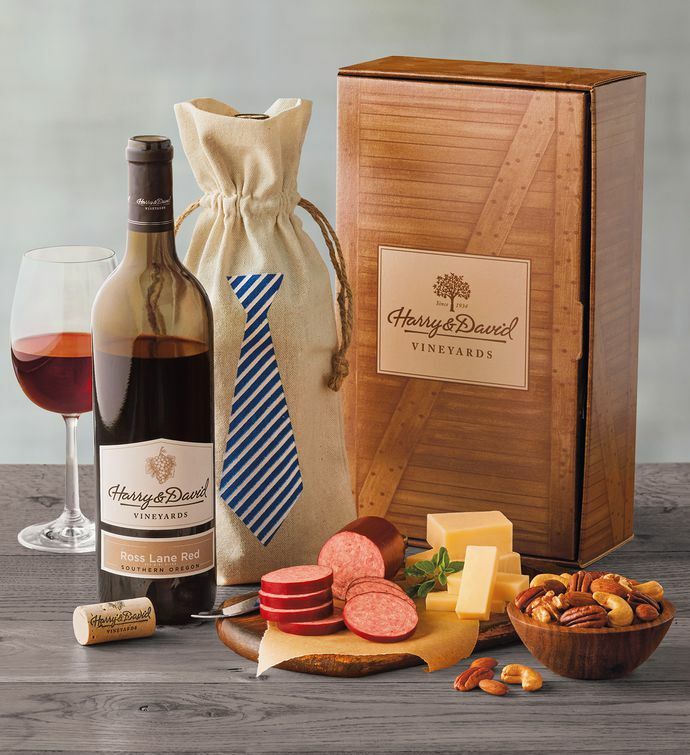 We've paired smooth white cheddar cheese with hickory-smoked summer sausage and a delicious assortment of nuts to create a gift that will help him relax and enjoy the afternoon. To top things off, we've also included a bottle of our Harry & David™ Merlot, wrapped in a linen bag printed with a necktie image just for the occasion.